Dermalogica reckons every face tells a story and they’re right. Your skin isn’t just a snap shot of what’s going on right now but a multi-layered novella that also draws from what’s happened in the past and, with the right products, can have a very happy ending. Right now, however, my skin is a bit of a ‘thriller’ with a few shocking surprise twists thanks to recently coming off the pill. It’s now oilier than usual and being stalked by the odd blind pimple, the evil kind that loves to show up just before I have an important event to attend or two days before I’m told I’ll be appearing on Expresso. Then, once it’s had it’s fun and (finally) disappeared, another one will pop up someplace else. In short, my face is fast becoming a horrible game of whack-a-mole! So, while AHAs and retinol have been my focus for ages (wrinkles be damned! ), I’m now cruising the acne aisle at the tender age of 35 until my hormones settle down and this means BHA has become my new bestie. For those of you who don’t know, BHA is kind of like a cousin to AHA and also known as salicylic acid. While AHAs do a great job of exfoliating the upper layers of your face, BHA can get deep down into your pores, cleaning them up from the inside out. 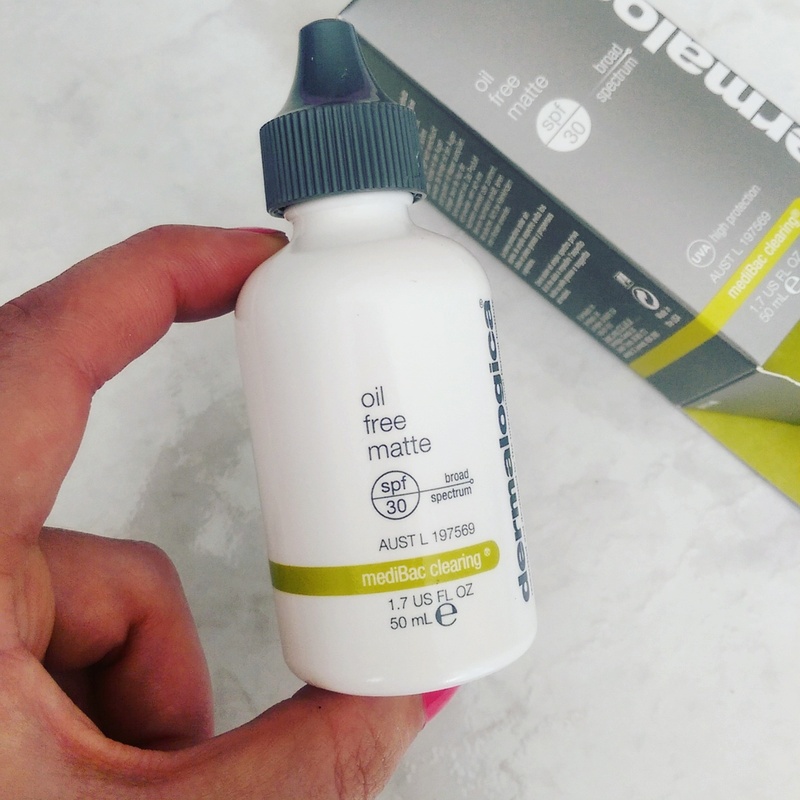 While most of the oil-control or acne-targeting skincare products you’ll find in the drugstore contain BHA, very few contain a super concentrated amount and this is why I’m loving Dermalogica right now, but we’ll get to that in a bit. What’s your face trying to tell you? After a quick face mapping session where the therapist could assess all the areas of my face, I was hooked up with a few products that could help me best balance things out. Keen to check ’em out? First up, we’ve got a product that doesn’t really need much introduction – Dermalogica daily microfoliant (R1 020). This dude’s long reigned supreme as one of the kings of the exfoliation game and is a worldwide bestseller for a reason. A rice powder-based formula that makes use of BHA as well as an enzyme exfoliator (papain), it also contains soothing colloidal oatmeal and is gentle enough to use every day. Because the grains are so incredibly fine, it almost acts like a microdermabrasian session, lifting away loads more dead skin then you’d be able to with a grainier scrub that could result in irritation. It also does a great job of prepping your skin before you apply anything else – a polished up, oil and flake-free face is always going to absorb way more actives than one that’s mired in microscopic debris. 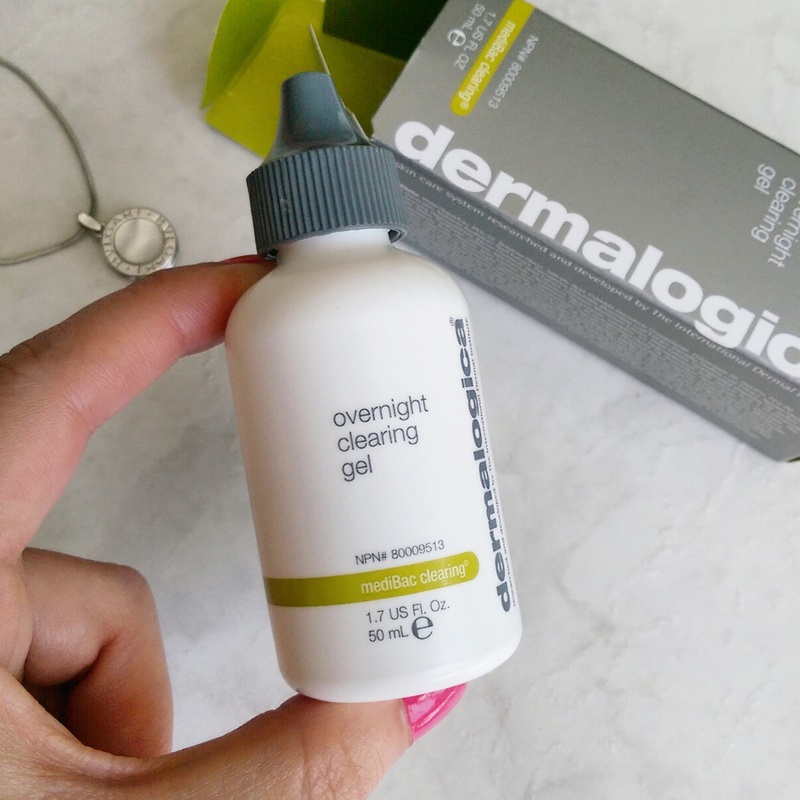 Next up, let’s chat about Dermalogica Age Smart overnight retinol repair (R1 480). Retinol – the world’s most proven wrinkle-buster. If you’re a regular reader you’ll know I love and adore a good ole retinol serum and have used those boasting a concentration of up to 1% in the past. Now, however, as my skin’s a bit more reactive, I’m going a little easier on it so I like that Dermalogica’s treatment contains 0,5%. As you know, retinol is potent so you can’t just jump right into it. You need to wean yourself up to a concentration you can best tolerate and only use it every other night until you find a level that doesn’t causes any irritation. For this reason, Dermalogica’s serum comes with a buffer cream that you can blend it with to dilute its effects until you acclimatise. Being a long-time user, I’m ‘drinking it neat’, like a whiskey sans water, every other night and its working like a charm. I also like that this particular formula’s good bang for your buck as it contains a mix of collagen-boosters aside from the retinol itself, namely antioxidant vitamin C and peptides. Good skin care is very much like a healthy diet – you can’t live on one active alone, you need several ingredients to whip up a ‘meal’ with all the nutrients you need thrive. 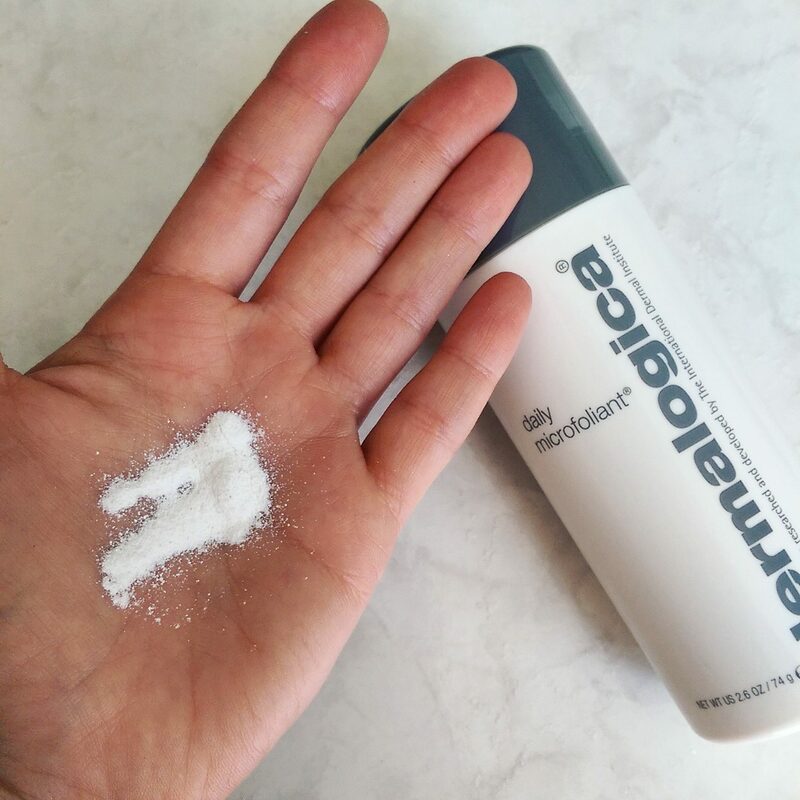 Now let’s chat about the hun bun that’s doing a lot of the heavy lifting in terms of helping to change my skin’s narrative – Dermalogica MediBac Clearing overnight clearing gel (R760). If we’re using story telling analogies here please know that this guy’s the knight in shining armour. Girls, you have no idea how much love I have for this product right now. Like I said earlier, finding something that doesn’t just contain a dash of BHA, but a whopping 2% is super-duper tricky. Previously I was using a treatment from Paula’s Choice, but now that brand’s not available in SA anymore and shipping it costs just as much as the bloody product. 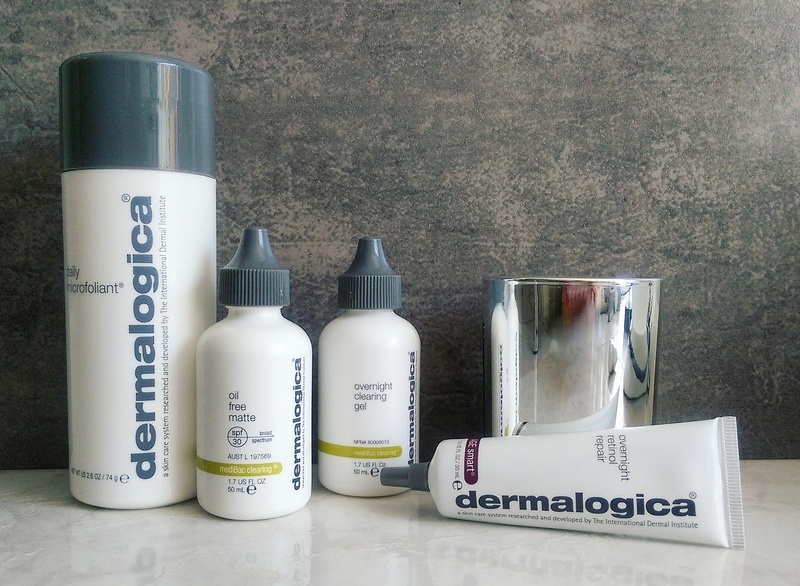 For a while I wasn’t too sure what I’d turn to next so discovering that Dermalogica’s treatment also contains 2%, costs way less and has a wonderful non-sticky texture that beats Paula’s in its moer was nothing short of Christmas day for my face. I’ve been using it every other night, alternating it with the retinol, and every single night in an area that’s misbehaving and it’s making a huge, HUGE difference in keeping my skin clear. The moment this bottle empties out I’m totally buying another. I also like that it’s got antibacterial tea tree in the mix as well as ant-inflammatories like niacinimide (vitamin B3) and zinc gluconate to soothe as well as blitz. Last, but certainly not least, let’s talk about Dermalogica MediBac Clearing oil-free matte SPF 30 (R800). Say ‘hey’ to my run buddy! I run outdoors every second day and am always looking for a good sunscreen so finding one that’s not only going to tick all my usual boxes (no white cast, doesn’t turn me into an oil slick, high SPF) but also contains BHA is total win. On top of that, it also contains all the other skin soothing goodies and then some that you’ll find in the clearing gel, albeit in a lesser concentration. I really like that its texture is so nice and light that I could easily wear it as a daily moisturiser, not only when I hit the road. 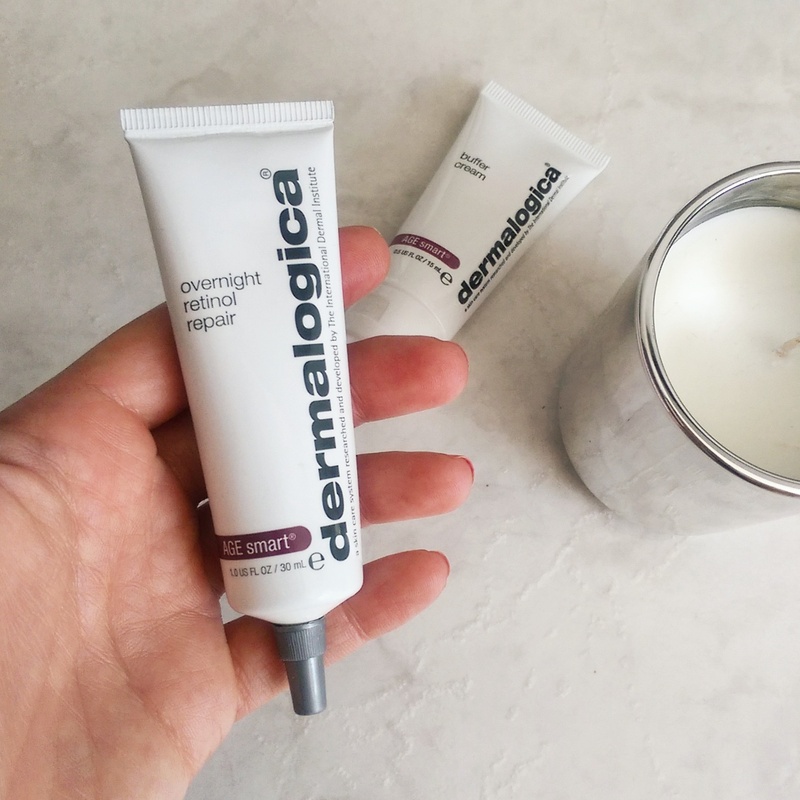 In short, Dermalogica is a brand I’m very happy to have partnered with, especially since discovering a few of the gems within their line up. They’re doing a great job of turning my personal skin story into the kind where the phrase ‘and they all lived happily ever after’ wouldn’t be out-of-place. 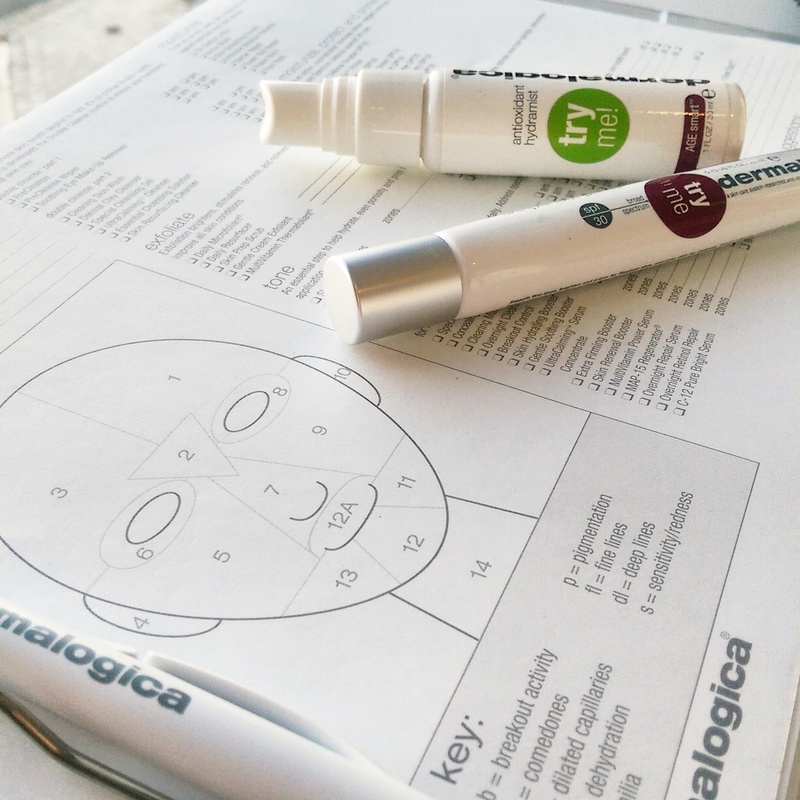 If you’d like to find out which of their products could play the hero protagonists in your own skin story, visit a Dermalogica concept store near you for your own face mapping session with one of their highly trained, professional skin care therapists. Hi hun! 0,5 retinol serums are generally pretty expensive. Currently the Skinceuticals one you’re using is R1 325 at Dermastore.co.za for 30ml so it’s kind of on par with Dermalogica’s. You can get cheaper retinol serums at the drugstore (Neutrogena Deep Wrinkle serum is about R180) but it’ll only contain a smidge of retinol, nothing near 0,5%. Also, for the record, Environ’s retinol 3 serum contains a ‘high concentration’ of retinol and costs less than R500 but they don’t disclose the percentage so I’m not really comfortable recommending it without knowing how much is in there. Hope that helps! Thanks Leigh! One more question Skinceuticals vs Dermaceutic 0.5? Both products are great. I’d buy Dermaceutic though as its easier on the wallet. This is an exceptionally beautiful picture of you, Leigh! Hi! Thanks for such a nice in depth review! I was looking at changing my skincare regime and was hoping for some advice.. I have VERY oily hormonal acne prone skin with blackhead/whiteheads in the mix. I have deep acne scars. Im currently using clinique’s anti-blemish solution range, but I’m finding that my skin almost has a “rebound” oiliness after a few hours, which seems worse when I use the products. A friend suggested Dermalogica, and another suggested skincauticals.. what would you suggest? I’m looking for a wash and moisturizer, and maybe something to clear the blackheads and scars. Hi Avani! Apologies for the super slow reply. I some how missed your comment. As far as face washes go, buy what suits your pocket and doesn’t over strip your skin. The moisutriser you buy will be more important as it remains on your skin (unlike the wash that just sits on your face for a few seconds and then get washed down the drain). The standard go-to ingredient to treat blackheads is 2% BHA. If you’re on a budget, The Ordinary do a 2% BHA fluid but it doesn’t have a nice texture nor does it play nicely with make-up. Still, you could always wear it at night. A better pick is Dermalogica’s Overnight Clearing Gel (also 2% BHA) and Sk.In have something called Pure Medi Shot that also contains 2% BHA but it’s got a sticky texture and I’m worried it’s exfoliating enzyme content might be too harsh for you to use it every night. If I were you, I’d use a BHA product in the evening and a lightweight moisturiser in the day, something like Cetaphil’s DermaControl lotion for oily skin. It’s the one in the pump bottle with the purple cap and, despite having an SPF of 30, it doesn’t turn you into a grease ball. 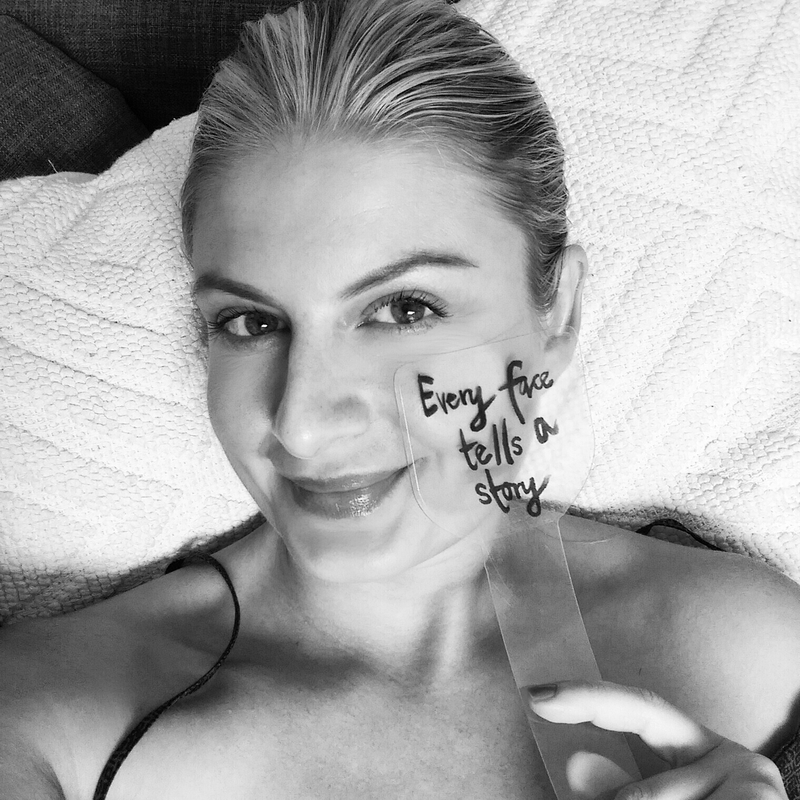 As far as the scars go, you’d probably benefit most from a series of peels or Dermapen. Instead of buying a string of duds, rather make an appointment to see a therapist at Skin Renewal (they’re brilliant, you can’t go wrong!) and they’ll be able to recommend the treatment path that would suit you best and deliver REAL results.